Tu es une artiste! Au plaisir de se côtoyer encore en 2013. Very funny! Merry Christmas to you and your family. Merry Christmas to you, too Valerie! Sending many wishes for holiday blessings to you and your loved ones. Happy holidays, Valerie! Hope you had a good one! A blessed holiday season to you too! hope your holidays are full of happiness Valerie! 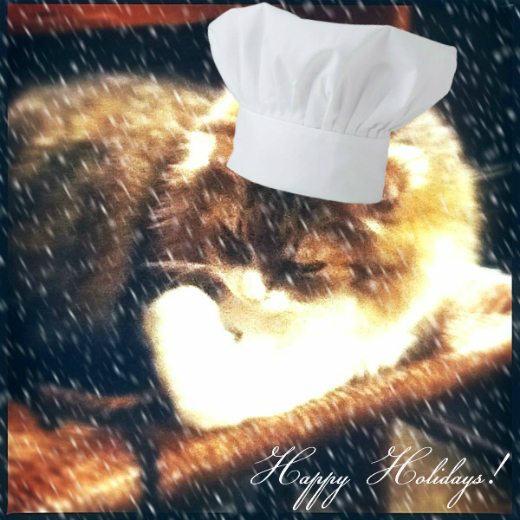 and Niles is a rather fetching feline in his chef's hat. love it!